The Avengers are finally assembled as we bring you the final first appearance of the main four Avengers! 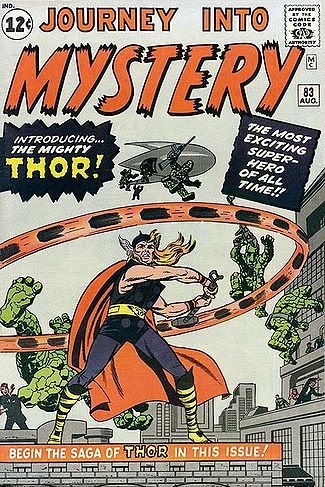 This time it is the mighty Thor who first appeared on this amazing cover by Jack Kirby in 1962. Thor is now saving the world at the box office with his fellow Avengers and can still be found monthly in comic shops worldwide!